After grand success of OM Party I, we are very pleased to announce our second event in April. 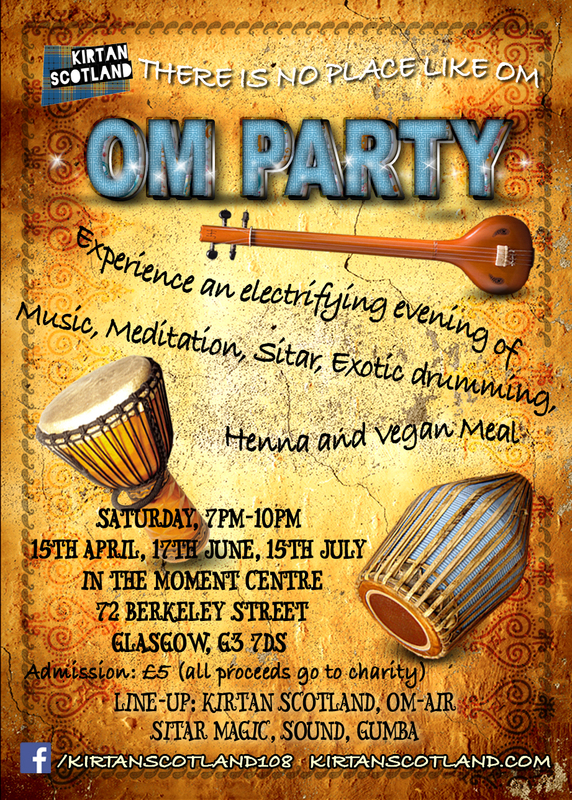 "OM Party" is a new revolutionary conscious music event for young people in Glasgow. Experience an electrifying evening of live music, sitar jam, exotic drumming, meditation, henna and vegan meal. This event is not just to entertain you. It is to inspire, rejuvenate and empower you with positivity, happiness and peace of mind. You will leave feeling much better, more connected, more engaged and better equipped to face challenges in life. So many people are concerned about the condition of the world today. There are so many economical, environmental, political and social problems and so limited tangible solutions. We invite you to be the change you want to see in this world. This world needs people who are free from greed, envy, hatred and desire to exploit. Through the power of music, sound and meditation bring light, joy, warmth and love to your inner world and share this inner light to everyone you meet. Sitar Magic: Robbie Wilson from The Kundalini Genie. He will do electric Sitar Jam with Tabla session. He is a Ravi Shankar of Glasgow. Sound: Evelyn & Marnie. Wonderful ladies with Ukulele, Drums & Accordion. 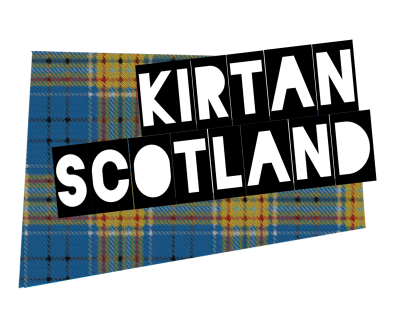 Kirtan Scotland: our resident band pioneering Mantra Music in Scotland since 2009.